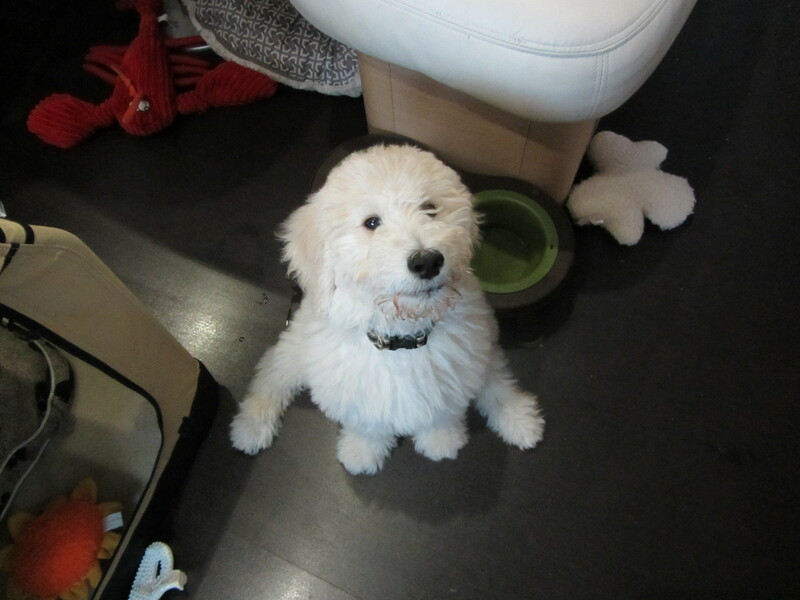 Goldendoodles are very smart and Sailor came to us already knowing quite a few obedience commands. We will post these as well as the tricks we are sure he will learn. So far, the tricks he knows are: sit, roll over, lie down, carry the paper, give me a hug, shake paw, and stay. Pictures of some are below. 3. STAY. This is an important obedience command. 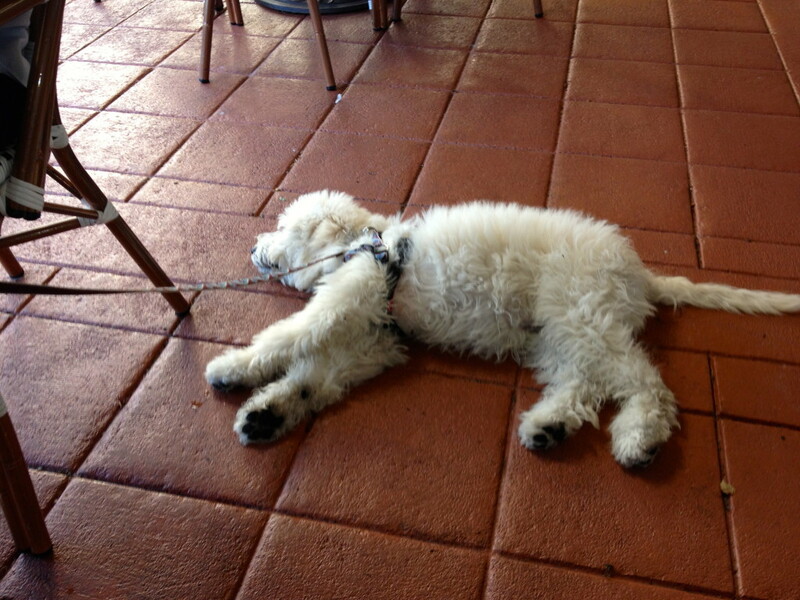 Sailor understands the meaning of stay and so far he follows this direction. 2. CARRY THE PAPER. 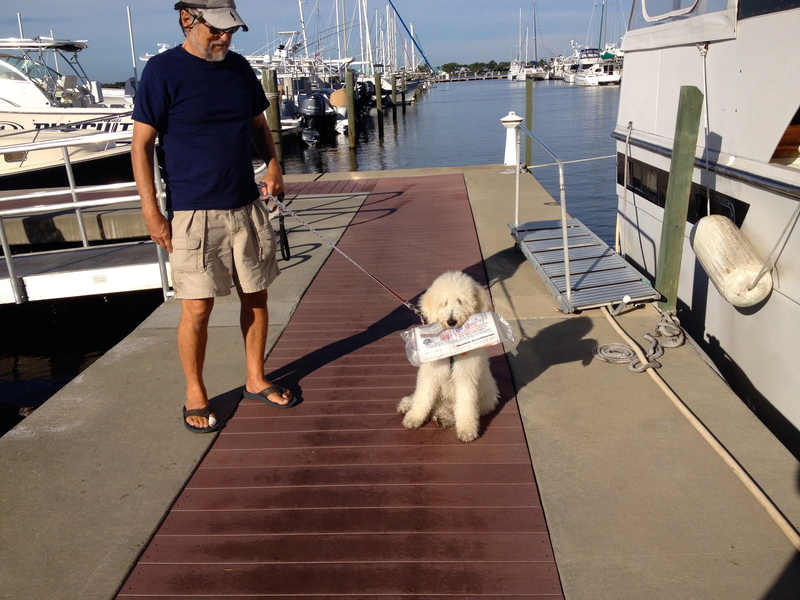 Every morning Mark and Sailor go to the marina office to get the newspaper. Sailor takes it in his mouth and carries it back to the boat. Wish we could just send him to the office alone, but I’m afraid the paper would be in small pieces before it got back to us. 1. SIT (Sailor sits for everything.) 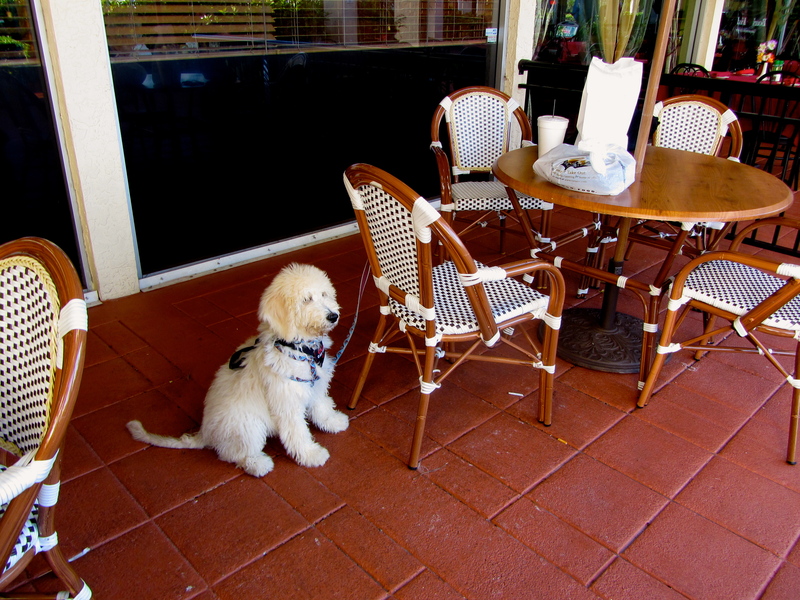 We did not teach him this, but we still reinforce it with a treat every time he follows a command.